Pianist Jon Mayer is from the tradition of New York players who are not afraid to express strong emotions from both ends of the spectrum. He is a muscular, blues based pianist on one hand and is entirely at home with a ballad and it’s potential for tenderness. His jazz pedigree is solid, having grown up in New York City during a particularly fertile time in modern jazz evolution. Mayer is represented on a John Coltrane recording `Like Sonny’ on Roulette and on a Jackie McLean Prestige date called `Strange Blues’. He also spent time in the Thad Jones-Mel Lewis Band as well as road assignments with Dionne warwick, Sarah Vaughan, Anita O’Day and Manhattan Transfer. 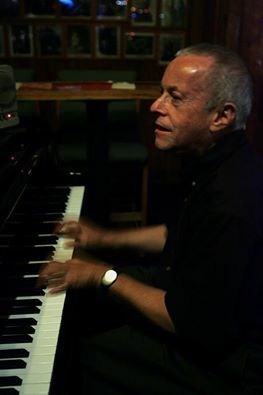 Mayer’s compositions have been recorded by Les McAnn, Barry White’s Love Unlimited Orchestra, Nancy Wilson, Gladys Knight, Ernie Watts and Jackie Ryan. Recordings under his own name date from 1996 to the present with nine Jon Mayer Trio releases plus the new solo `Live’ CD called `The art of the Ballad’.